Duane, I swear I was thinking the same thing today after seeing the above video of yours. I thought maybe I should open a thread and ask people to post a video of them smoking a pipe, introducing themselves, etc. Then I thought how many of us had a Youtube account, I was thinking about asking people to send me the videos so I can upload those for them but then I thought how difficult it was going to be to explain it. This is some kind of hard task so let's see how it works out. Its really cool to have a face and even a voice to go with the avatar. Thank you Duane! This way, they'll have something to play on CNN when the balloon goes up. Then I thought how many of us had a Youtube account, I was thinking about asking people to send me the videos so I can upload those for them but then I thought how difficult it was going to be to explain it. This is some kind of hard task so let's see how it works out. Maybe even make it a sticky where members, and new members can post them. It's really cool to have a face and even a voice to go with the avatar. Thank you Duane! My avatar used to be an image of me smoking a Weaver billiard, then the whole piratey thing took over. I will do this a bit later when I'm able to sit down for a bit! Got an aversion to being on film but it's nice to see a skinny guy with frog in his throat represented though. Dig the hat too. Usually I catch the frog jokes. I've got the 920 loaded up with some Fragrant Matured Cake. Should be able to do a little recording here shortly. Here I am! Thanks for getting this rolling, Duane. I hope for more participation! I have a YouTube channel. Haven’t posted anything new for months but I have about 50 short vids. And a pretty darn good music playlist too. Great start guys! Great to see and hear those that I talk to on here. This would be great to have ocassional blogs about pipes, tobacco, or just anything that pops in our heads. Everyone is welcome to join, video making skills are not a must. Not great at it here myself. Dave, I am in awe! That's a lot of restorations! How long have you been doing them? Tom, nice garden, you go to the fair? We did! We actually live just a block from it, so we got all the fair we could handle. Was neat hearing all the concerts from the porch! And the whole neighborhood smelled deep fried for three weeks. Traffic is a nightmare, though! A block away? I would have been out of town for all of that, or charging to park on vacant lawns. Lot of people make a lot of money on parking! We don't have much vacant land for it, unfortunately! Yup! Meerschaum pipe and a Star Wars hoodie! Not bad, sir! If you don't know already, I have a YT channel. Got 500 plus vids, and I do my best to look stupid on a regular basis. Ha! A pipe suits the Ozzman. Great intro video Jakob! Diggin' that hoodie, lots of SW fans around here! I've seen that one before, and tried to talk him out of it. Family heirloom. I do my best to look stupid on a regular basis. 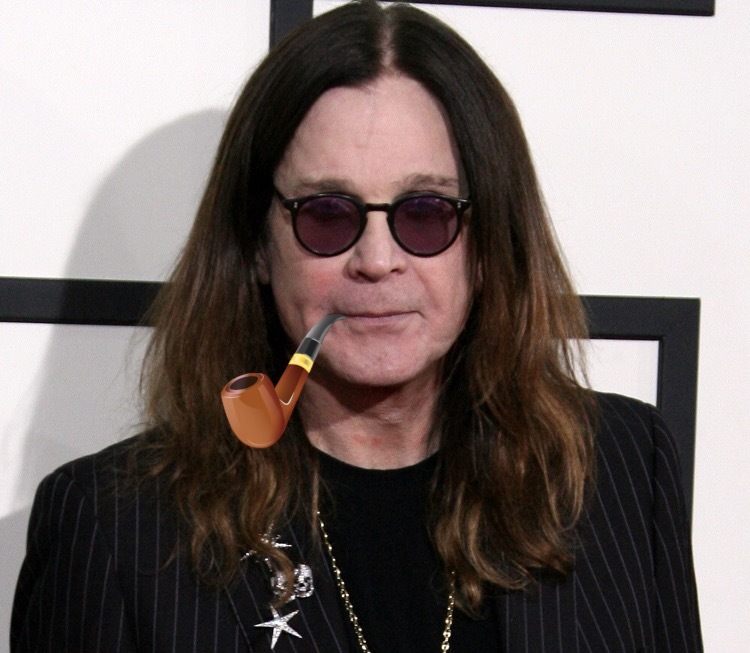 Yup, I could see Ozzy with a pipe. Did another quick video for fun. Just a quick tour of my tobacco setup! Keep the videos coming, guys! Well... I was going to make a new vid, but the YouTube capture app is out of date. That’s how I always spliced and edited before. Tried a few new apps and my angry inner codger took over. These new apps can get out of my yard. Ha ha! Yes! That is a great hat! I thought you'd get a kick out of that. Funny thing is about those hats... the more beat up they get, the better they look I think. the more beat up they get, the better they look I think. Glad y'all liked the hoodie! Is there anywhere beside YouTube to post a video that can be shared? YouTube has started making demands like a gmail account and such, plus I have business videos on there that might not mix well with a bawdy pipesmoking video. Michael, you could upload to Dropbox and just share the link. Thanks for the videos guys, it is nice to see what you guys are like in reality. 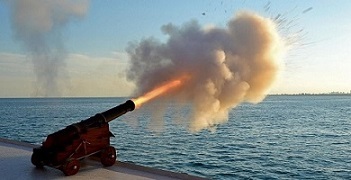 I will try to get something up later as well. I'm not 100% like that in my video. I've been told my accent and vocabulary varies in strength depending on who I'm talking to or what I'm talking about. Loving these, like an online smoking lounge! Jaytex that was the best video yet! That is a great setup Tom, may have to borrow that idea! Just realized by watching my video again, that between 1:43 and 2:52, I didn't take a single draw, and the pipe was still lit! I don't remember ever letting a pipe sit for that long without it going out! The best pipe smoking experiences happen, and you don't even pay attention when they are happening. I just went back and watched that too, Duane. You had a good burn going. made it yesterday, but it wouldn't upload on youtube. Nice one Newbroom I unfortunately can't smoke while I play guitar. Yeah! Strum that thing Mike! Great to get to see and hear you! I had been wandering about those wick lighters. Duane, I buy rolls of wick from a company called Bee Wick, 2 -420' rolls at a time. I pull off or out from the center (if the spool has been made correctly) about 5 or 6 arm lengths, cut it, wrap it around a 1/2 diameter dowel, then transfer it to a jar with a hole in the lid, about once a week on the jar refills. Only thing in my ashtray is ash. Now that is something I'm going to have to try. I've thought about using those wicks before, too. That's actually the first time I've seen one being used though. Newbroom, great video! Definitely going to look in to the hemp wick after really seeing it in action. Briar Blues has a You Tube channel. Have not had time to add more. Be warned, they are pretty rough. I'm not comfortable in front of a camera, nor do I have the technical skill to create nice videos, yet. Nice videos Michael. Watching them now. Not a new one, but its of me smoking, and its deliciously boring. Cheers! Mike, you’re a natural YouTuber. I think I see the next Matches860 superstar. Cool video. Love that we have so many jumping in! Will have to catch the newer ones when I get off work tonight. I have enjoyed everyone’s videos, thanks guys. Here is My short video.. sorry about moving the camera a lot. I may do another with a guitar or mandolin since I enjoyed newbrooms clip..
And I forgot to mention I’m smoking MacBaron Scottish mixture which I opened a year ago and has been sitting in a jar, it’s pretty enjoyable. Great video, bluegrasspipe! Cool garage, cool dog, cool pipe.. Anyone who plays music should put up a little something of themselves doing so. That would be fun. I can start and I'll take a request for a song. Any ideas? PipesmokingTom: Play something you like, do what you do. BTW I like the garden, ours got buried in 6 inches of snow yesterday. As they say, winter is coming.. I like everything. Was hoping for a suggestion of something I don't know. I love excuses to learn stuff I don't already know. I'll take a request for a song. Any ideas? Kansas, "Dust in the Wind".